I couldn't stand it anymore I had to hit the lake. The lake was in the worse shape I have ever seen it. The lake was covered with sticks, logs and whole trees. The water looks like coffee. My fish finder showed the water to be around 53 when I first got there, and 51 when I left. I thought that was a little high, but the muddy water might warm up faster. I hit a couple of my honey holes and caught one striper slow rolling a deep diver jerkbait. I herd quite a few busting the water. I think the fishing will be great as soon as the water clears up. 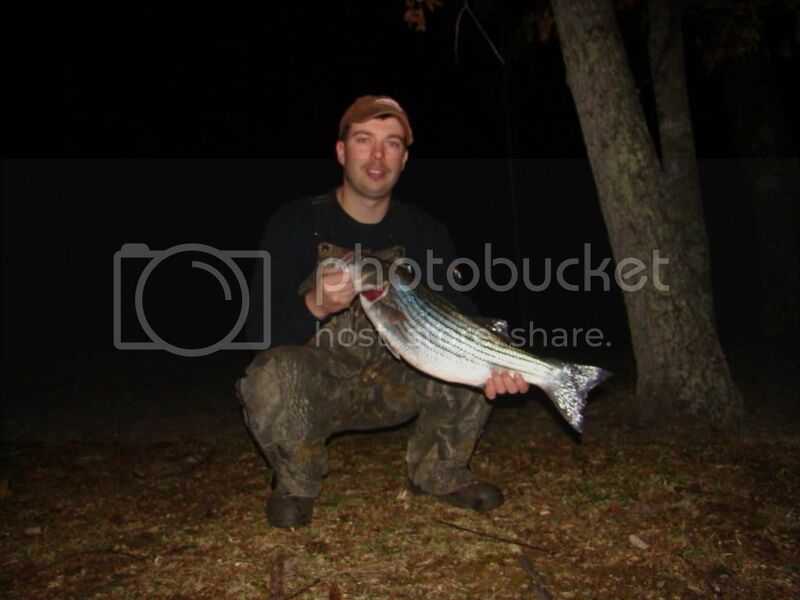 I can't beleive a striper can find a lure in water like that. Nice report. I don't know if this is true or not, but I was told that even if the water is muddy, the water will be clear 10 to 15 ft down.